Photo 2 of 366. 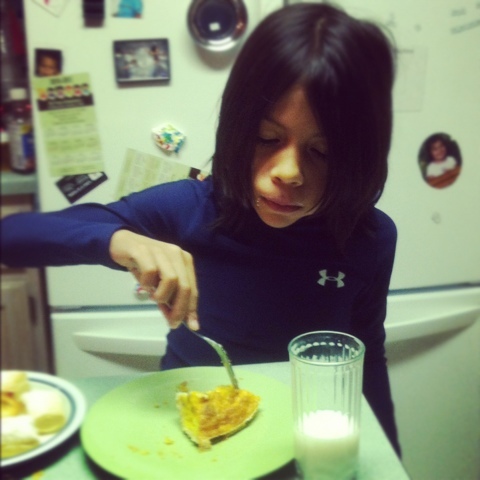 My son taking in a late dinner of cheese and bacon quiche after hockey practice. Our regular Mondays are usually jam-packed, our only night of the week that we don’t get to sit at dinner as a family. This entry was posted in Parenting, Project 366 and tagged Instagram, photography, project 366, son. Bookmark the permalink. 2 Responses to Back to Normal? I remember! And you had an iguana, although I wasn’t such a little kid 🙂 When are you starting your blog?